Tomorrow Michelle’s dad is having neck surgery at NY Presbyterian Hospital. We hope this will alleviate some of his pain and improve his range of motion. Right now there are two in wheelchairs. Both just went off to PT. Keep us all in your prayers. 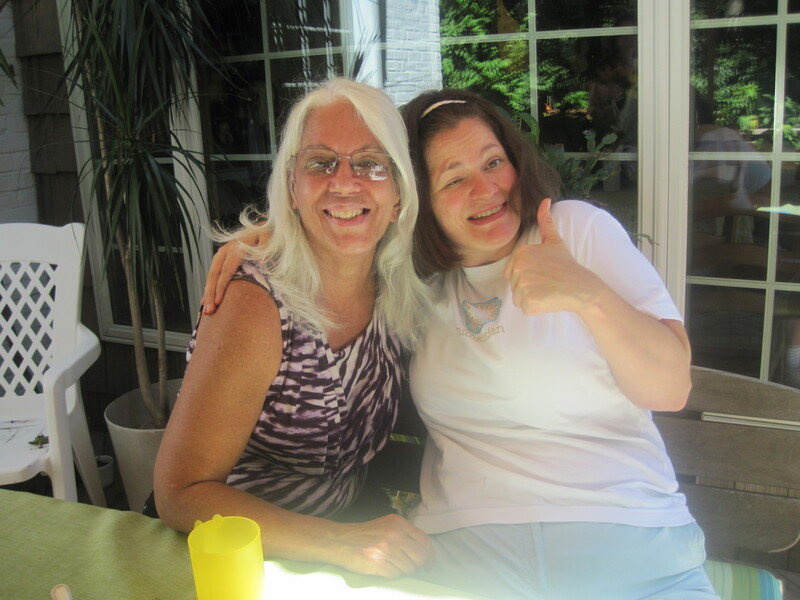 Michelle had a wonderful visit from her sign language teacher at the University of Chicago. Thanks, Drucie.